It’s usually pretty simple to match a movie to its genre by its soundtrack. Dark ominous tones? It’s probably a horror flick. Carefree pop songs? Odds are it’s a romantic comedy. Lots of violin? I can only guess a depressing drama. 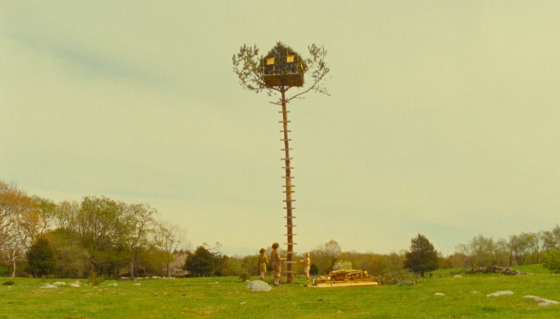 But when it comes to Wes Anderson’s “romantic comedy-drama” Moonrise Kingdom, it’s difficult to speculate about what kind of music could possibly bridge the gap between multiple genres in such different style of movie. Not to worry though. Anderson placed the soundtrack in the hands of Benjamin Britten, a notable composer especially well-known for his work for children’s voices. Using original compositions like the piece “Playful Pizzicato” (played when the narrator introduces the island where the movie is set), excerpts from plays like “Noye’s Fludde” and “A Midsummer Night’s Dream”, and various orchestral pieces; Britten somehow manages to not only incorporate aspects of each genre of the movie, but blend them together in what I can only describe as a magical tone that is literally perfectly suited for Moonrise Kingdom. We hear “the Young Person’s Guide to the Orchestra” as the film opens, a french song “Le Temps de L’amour” as the heroes dance and kiss on the beach, the wailing blues of Hank William’s “Long Gone Lonesome Blues” as the policeman played by Bruce Willis drops Bill Murray’s character off, and sprinkled in between are all of the little gemstones which are the lyricless composition pieces throughout the movie. 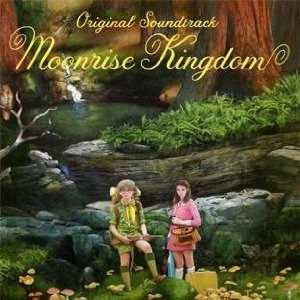 But this soundtrack is not to be mistaken for background music; many times it is the principal component of the film as Sam and Suzy make their way through the forest, and the only senses available to the viewer are the sight of the landscape and the sounds of the film’s title track. Each track is embedded to suit not only the tone of the action though, but also to complement the costumes, sets, and personalities that build the world of Penzance and all its quirky wonders. From running away from home to tromping through the forest to being chased in a lightning storm, the whimsical and eclectic taste of the movie and its characters is mirrored by its music in a way that seals the story and characters together. 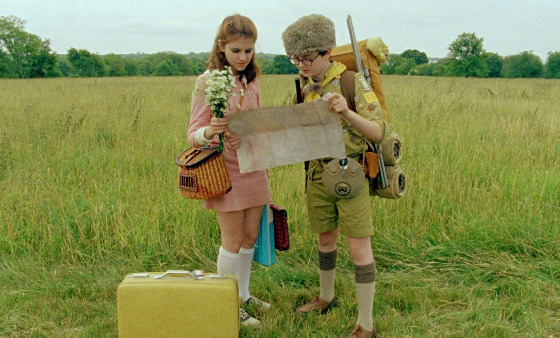 This is no accident, and as Wes Anderson put it “Britten's music had a huge effect on the whole movie... it’s sort of set to it. It is the colour of the movie in a way”. I couldn’t have put it better myself.